Hello and welcome back to Early Bird Breakdown. It’s week 16 of the season, last week the Packers traveled to Chicago to face the Bears. Before going into this week’s match up we will take a look back at the recap. Last week the Bears stymied the Packers’ offense, nabbing Rodgers first interception in an NFL record 402 pass attempts without one. They also sacked him five times. They held Green Bay collectively to under 100 yards rushing and held the Packers to only a single touchdown. Defensively, the Packers did fine but Mitchell Trubisky continues to get better under the tutelage of head coach Matt Nagy and only had 8 incompletions on the day. 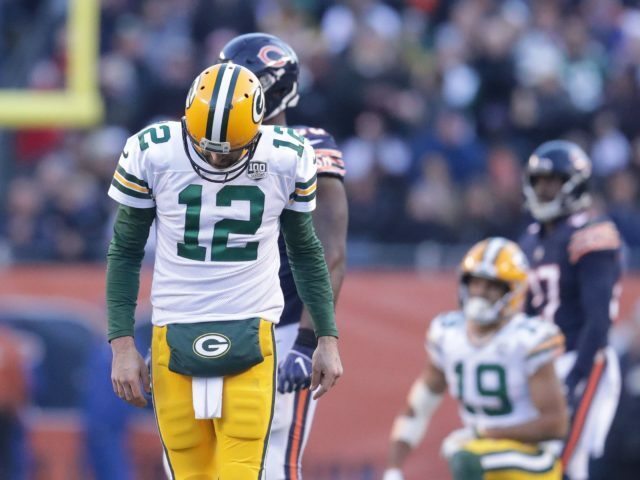 The Bears won 24-17 and ended Packers’ slim hopes for the playoffs. While Randall Cobb is doubtful due to a concussion, the Packers offense should look more like it did versus the Falcons than it did last week versus the Bears. The jets are 22nd in total defense and 24th in scoring defense. Rodgers has been adamant about staying on the field and playing, which may not be the wisest thing long term if there are any further knee complications. However, if Rodgers is fully healthy there is something to be gained from gaining experience with young receivers Equanimeous St. Brown and Marquez Valdes-Scantling, two physical freaks who if properly developed would be the most athletic weapons by far Rodgers has ever had in his playing career. Defensively the Jets do not have anyone really threatening so Green Bay should be able to employ whatever game plan interim head coach Joe Philbin would like to. I think to be safe the best option would be a heavy dose of running with Aaron Jones to also limit the chances of Rodgers suffering any unnecessary hits. The Jets offensively have struggled ranking third-to-worst offensively in the league. Rookie quarterback Sam Darnold has had some flashes of brilliance but has turned the ball over 16 times (1 fumble and 15 interceptions) to 15 total touchdowns. They will likely force the run, as featured back Isiah Crowell has an above average 4.8 yards per carry but the Packers defensive line should match up well with the Jets front. If the Packers can get pressure on Darnold, he will likely turn it over. The Jets only weapon to be concerned with is emerging wide receiver Robby Anderson, who is big (6’3″) and fast (4.34 forty yard dash). To be safe, Jaire Alexander should be the primary cover corner assigned to shadow him on both sides of the field as athletically he can matchup with Anderson. The Jets really do not have any mismatches to exploit the Packers defense. The weather will be a pleasant 44 degrees at kickoff with no wind beyond the usual swirl that MetLife Stadium has and clear skies. The Packers have lost to a team worse than the Jets in Lambeau this year so take what I am about to say with a bit of a grain of salt, however they are flat out better talent wise at this point than the Jets are. The Jets are very, very poor offensively and poor defensively as well. They do not have the means to slow down Rodgers and company if the Packers want to throw or run, and offensively do not have the weapons to take advantage of the defense. Now, having said that, this team (especially on offense) mentally at times looks lost or frustrated. Part of that may be due to playing injured, mentally checked out, or a significant void in the coaching. However, I think more likely than not the Packers play well for most of the game. Darnold should turn the ball over at least once and Rodgers likely will return to turnover free ball since he is not playing a truly historic defense this week. Packers win 31-20. This entry was posted in Early Bird Breakdown, Stuart Weis, Uncategorized. Bookmark the permalink.